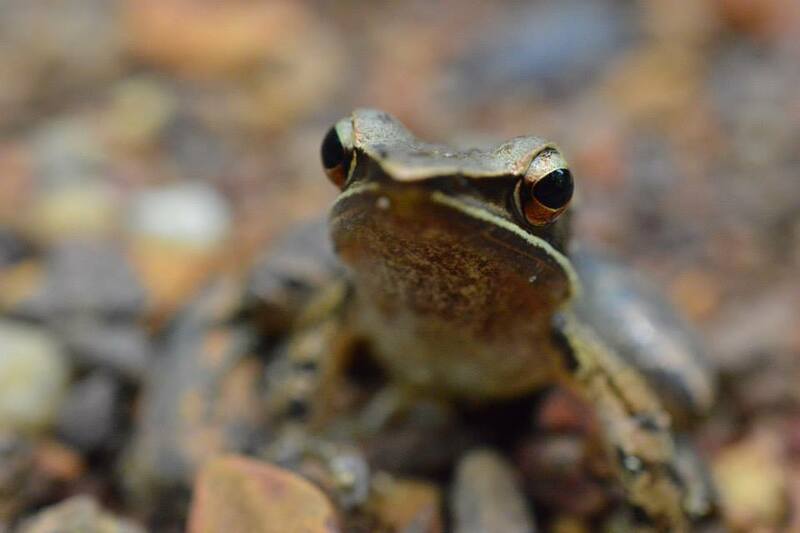 In the misty hills of the Southern Western Ghats at the Agumbe Rainforest Research station it doesn’t take long to be surrounded by curiousities. A small camp concealed in a banana plantation became our home for the week and we quickly learned it was a home we would be sharing. 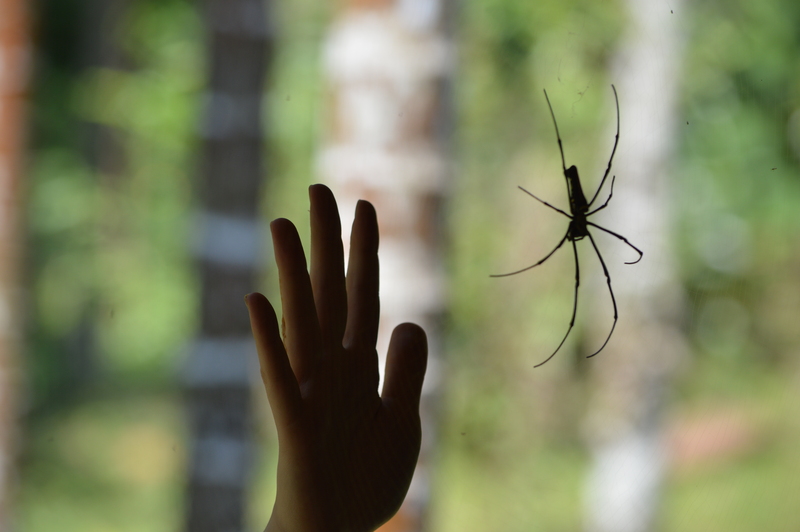 A malabar pit viper hung out coiled around a bamboo pole in the dining tent, a giant wolf spider lived in the window frame of the library and I quickly fell in love with the adorable bat outside of my cabin door. In this area a strong sense of coexistence with nature was evident. One characteristic of almost any culture around the world is an intrinsic fear of snakes that often leads to their death. I initially thought this would be major concern for the snakes living in and around the Western Ghats alongside over 300million people. 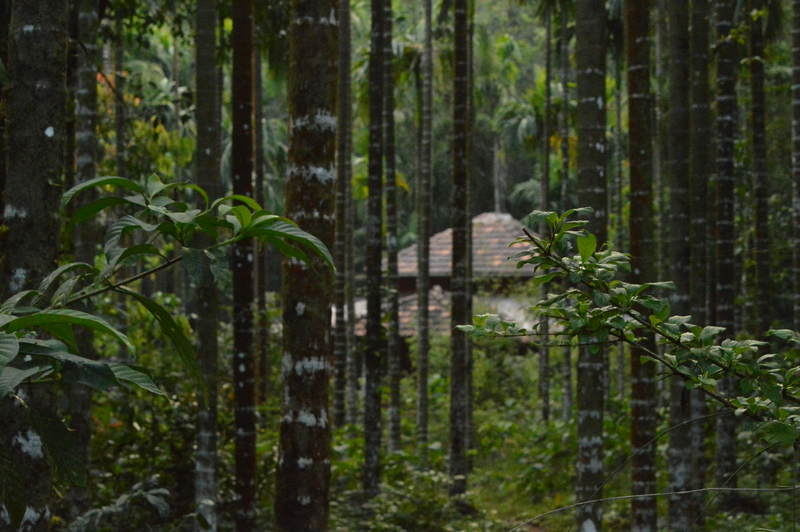 ￼ Possibly the greatest lesson I learned at Agumbe was the power of spirituality in protecting nature. 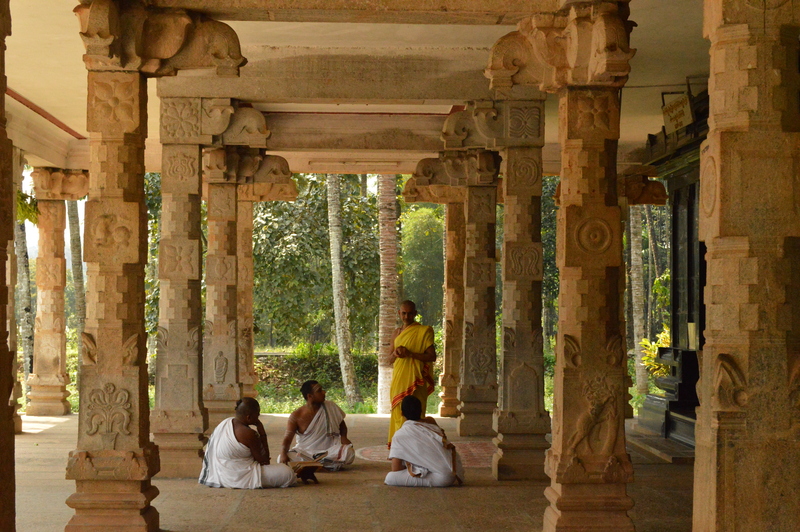 As you travel throughout South India there are countless shrines of cobras carved out in stone at ancient sacred groves depicting the sacredness of such animals. 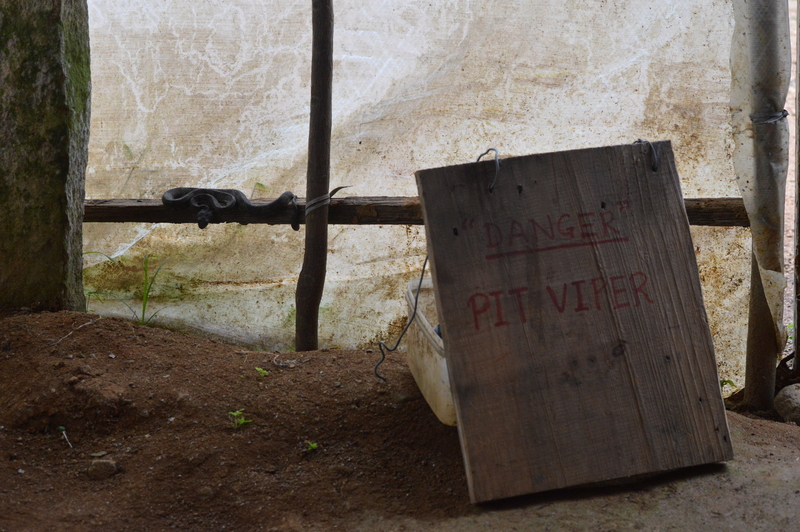 The local people who find livelihood in the richness of the area around Agumbe honour the snakes despite the dangers they pose. After a few days exploring the jungle of Agumbe we had great sucess in finding unique species of snakes (sometimes too close for comfort at night), a great number of birds and freshwater wildlife. So, we decided to stretch our luck in search of the notorious, and very rare, lion-tailed macaque endemic to this forest region. Along with a Colombian and Luxembourgish friend we hiked to a nearby village to find a rickshaw to bring us to near a location where the primates can sometimes be found. Without any proper knowledge on the region or experience with the local Karnataka language, we crossed our fingers that we would make it down the steep road alive in the unsteady three-wheeled vehicle. As we approached the site our uncertainty turned into anticipation. 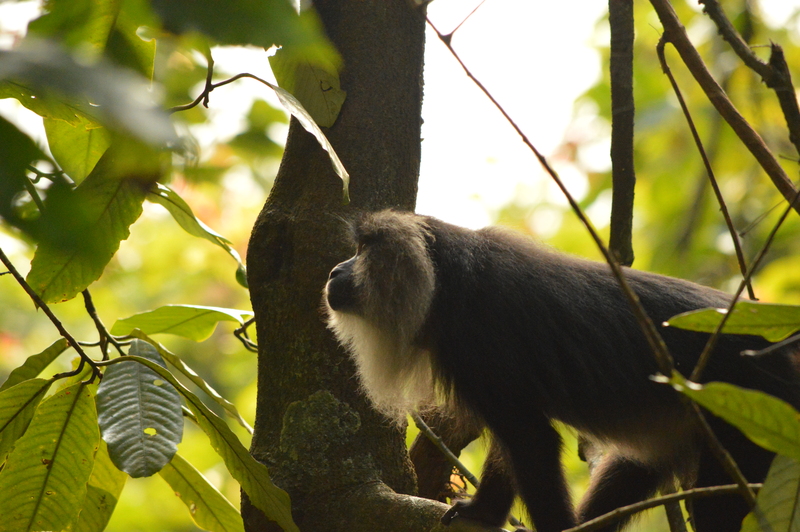 Before long, we heard sounds in the canopy above and we were greeted by not one but six lion-tailed macaques! 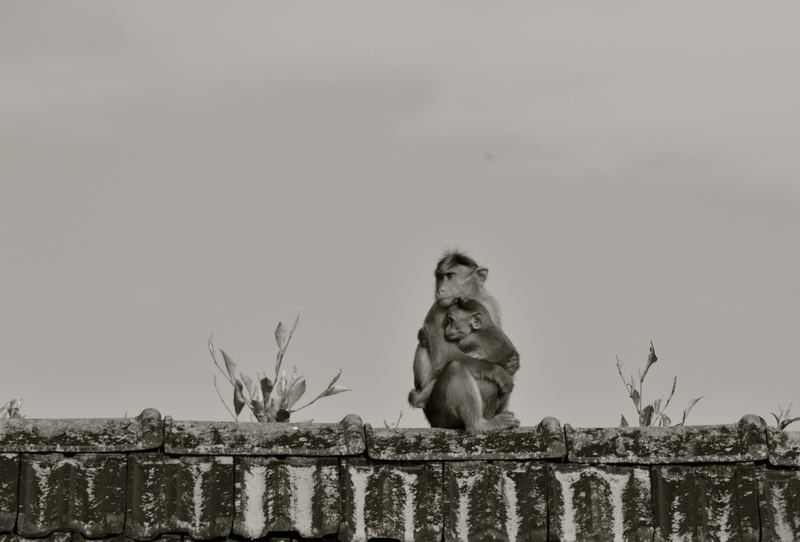 The fascinating monkeys hardly acknowledged our presence and almost posed as they would hang from the branches. Our expectations already succeeded many times over, the experience was completed in the essence of project week – in wonder.